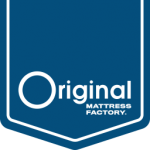 Our Orthopedic mattresses and box springs offer superior comfort, support and durability. There are seven models available, ranging from the firmest tight top to the thickest and softest pillow top. 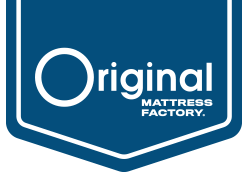 Each Orthopedic mattress features our best offset innerspring system, which is made exclusively for The Original Mattress Factory. 11.5” ultra-premium quality innerspring mattress hand-built with a two-sided design and medium-hard feel. 10.5” ultra-premium quality innerspring mattress hand-built with a two-sided design and hard feel. 12.5” ultra-premium quality innerspring mattress hand-built with a two-sided design and medium feel. 11” ultra-premium quality innerspring mattress hand-built with a two-sided design and our hardest feel. 14.5” ultra-premium quality innerspring mattress hand-built with a two-sided design and soft feel. 12.5” ultra-premium quality innerspring mattress hand-built with a two-sided EuroTop design and medium feel. 15” ultra-premium quality innerspring mattress hand-built with a two-sided EuroTop design and soft feel. 16” ultra-premium quality innerspring mattress hand-built with a two-sided EuroTop design and our softest feel.